John Maxwell is a tattoo artist who was born and raised in Québec, Canada and in true Canadian fashion; he is fluent in both French and English, of course, he also can hold his own in Spanish. John, who spent 15 years in Whistler, Canada, has also lived in Nicaragua before moving to Puerto Viejo, Costa Rica with his wife and daughter. 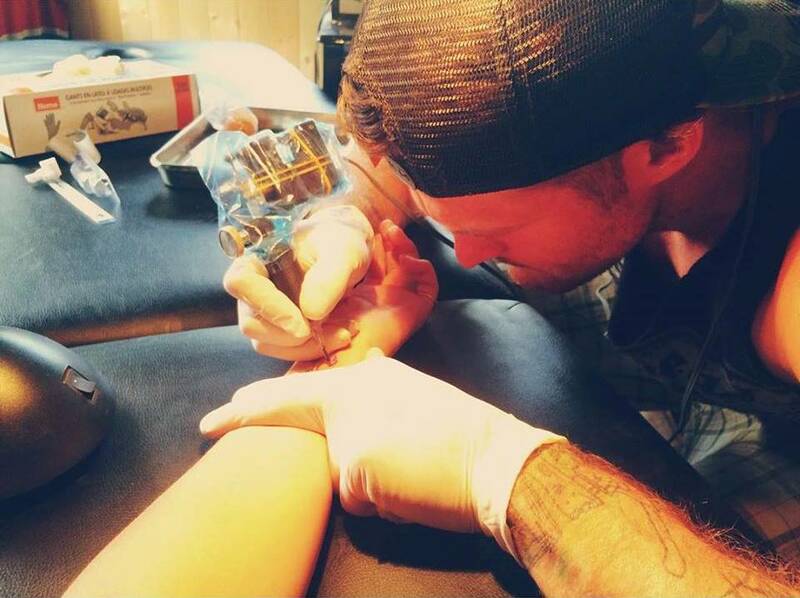 Besides tattooing, his hobbies are drawing, skiing, skateboarding, surfing and practicing and teaching Muay Thai. Since he was in high school, john dreamt of becoming a tattoo artist, even getting in trouble for spending too much time drawing instead of listening in class or studying! When the school presented John with an opportunity to do a workshop in the work environment of his choice, then 16 year old John jumped on the chance to go apprentice in a local tattoo studio. Ever since that day, he has had but only one goal in mind; become the absolute best tattoo artist he could be by always learning, practicing and owning his skills as an artist. Today, John Maxwell has been tattooing for over 10 years and is a well renowned in Canada and abroad. John arrived in Puerto Viejo, Costa Rica, in 2018 and fell in love so hard with the country that he decided to stay and open his own shop; fulfilling his lifelong dream of being his own boss, in his own tattoo shop, in an amazing tropical paradise by the beach. John doesn’t have a favorite tattoo style and can do anything and everything, from a small, delicate and simple wave tattoo on a finger to a complex, colorful and detailed full back piece. But if you ask him, his favorite thing to tattoo are his own drawings, so don’t hesitate to ask him to show you some of his drawings, or better yet, ask him to draw something special, just for you!